Hello Derry dental friends. Today’s topic is ‘The Dangers Of Smokeless Tobacco’. Cigarette sales at most Derry stores have decreased in the past decade, but some Derry tobacco consumers have switched to smokeless products. There is a common misconception in the Manchester area (especially among teens) that smokeless tobacco is harmless. This is absolutely not true. Regardless of the specific type: spit tobacco, snuff, chew, or pinch, this form of tobacco is as deadly as traditional cigarettes. At Vanguard Dental Group, we encounter serious consequences of smokeless tobacco use because many occur in the mouth. 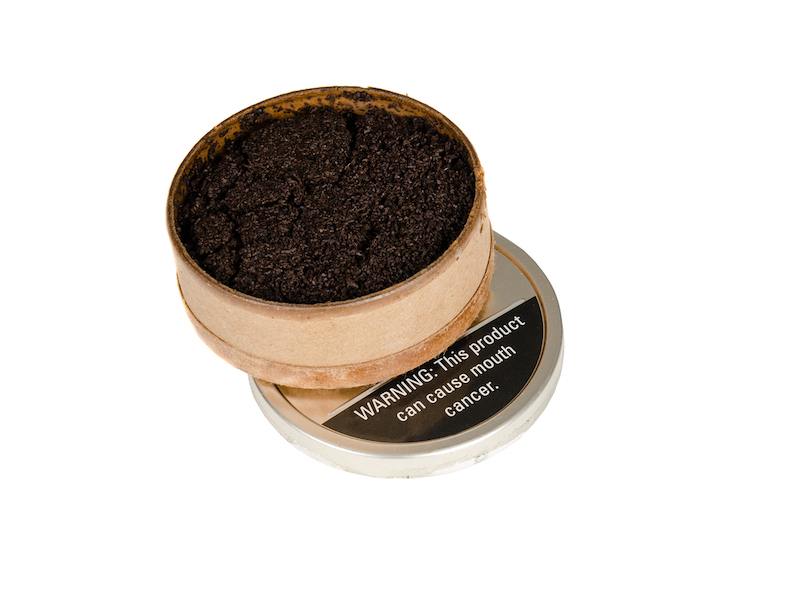 Oral cancer, mouth lesions, gum disease and tooth decay are the most common dental problems caused by smokeless tobacco in New Hampshire. Keeping a pinch between your cheek and gum all day is worse than keeping an all-day sucker tucked in there. The tobacco contains almost as much sugar as the candy but delivers harmful chemicals as an added bonus. The dangers are two-fold: the tobacco erodes the teeth and also causes the gums to pull away from teeth. Precancerous Mouth Lesion Screening in New Hampshire: Mouth lesions are painful sores that could eventually become cancer. If smokeless tobacco use is stopped, the lesions typically disappear within a year for New Hampshire dental patients. Oral Cancer in Derry: Smokeless tobacco use in Manchester increases the risk for several types of life-threatening cancers including those of the mouth, gums, lips, tongue, and throat. Oral cancers can be as deadly as lung cancer and usually require surgery. If the New Hampshire patient is fortunate and the cancer is successfully removed with surgery, the collateral damage to the face, neck, or jaw is not pretty. These are the main dental risks of smokeless tobacco. Additionally, I should also mention two other biggies: addiction and heart disease, though those are topics for another day. At Vanguard Dental Group in Derry, we perform oral cancer screenings and mouth lesions examinations. To receive more specifics, or schedule an appointment, call 603-435-1482. If want to quit using smokeless tobacco products, we recommend that you speak withDrs. Rothenberg and Moskowitz at Vanguard Dental Group, your Derry primary care doctor, or your Derry pharmacist.